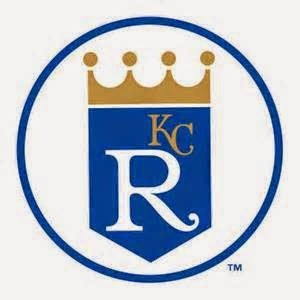 Last night, the American League Wildcard Game featured the Oakland Athletics and the Kansas City Royals. KC hadn't been to the playoffs in 29 years, and the town was still buzzing over the Chiefs beat down of Tom Brady and the Patriots the night before, across the parking lot, at Arrowhead Stadium on Monday Night Football. Kauffman Stadium was 106.9% filled and 40,502 fans were ready to rock! It was going to be a glorious night for Royals fans, that is until Brandon Moss stepped to the plate. With "Big Game" James Shields on the mound, the Royals and their fans had extreme confidence about being able to pull off an "upset" at home. After a leadoff single to Coco Crisp to start the game, Shields got Sam Fuld to line out and struck out Josh Donaldson. Brandon Moss came to the plate with 2 outs, the same Brandon Moss that hit .173 after the All-Star break with 4 home runs in 179 ABs. But the playoffs are a new season and Moss took Shields deep to right to give Oakland and early 2-0 lead. With Jon Lester on the mount for the Athletics, that must have felt more like a 3 or 4 run deficit to the Royals. Your browser does not support goog-spellcheck-word" id=":z.7" tabindex="-1" role="menuitem" aria-haspopup="true" style="background-color: yellow; background-position: initial initial; background-repeat: initial initial;">goog-spellcheck-word" id=":z.8" goog-spellcheck-word" id=":z.8" tabindex="-1" role="menuitem" aria-haspopup="true" style="background-color: yellow; background-position: initial initial; background-repeat: initial initial;">tabindex="-1" role="goog-spellcheck-word" id=":z.9" tabindex="-1" role="menuitem" aria-haspopup="true" style="background-color: yellow; background-position: initial initial; background-repeat: initial initial;">menuitem" aria-goog-spellcheck-word" id=":z.10" tabindex="-1" role="menuitem" aria-haspopup="true" style="background-color: yellow; background-position: initial initial; background-repeat: initial initial;">haspopup="true" style="background-color: yellow; background-position: initial initial; background-repeat: initial initial;">goog-spellcheck-word" id=":z.11" tabindex="-1" role="menuitem" aria-haspopup="true" style="background-color: yellow; background-position: initial initial; background-repeat: initial initial;">iframes. The Royals would get a run back in the bottom of the 1st inning, thanks to a long Billy Butler single that scored Nori Aoki, but he would then run them out of the inning, with 2 outs, with some bad base running. That was Butler's 1st postseason AB of his career that started in 2007 with the Royals as a 21 year old. Your browser does not support goog-spellcheck-word" id=":z.14" tabindex="-1" role="menuitem" aria-haspopup="true" style="background-color: yellow; background-position: initial initial; background-repeat: initial initial;">goog-spellcheck-word" id=":z.11" goog-spellcheck-word" id=":z.15" tabindex="-1" role="menuitem" aria-haspopup="true" style="background-color: yellow; background-position: initial initial; background-repeat: initial initial;">tabindex="-1" role="goog-spellcheck-word" id=":z.16" tabindex="-1" role="menuitem" aria-haspopup="true" style="background-color: yellow; background-position: initial initial; background-repeat: initial initial;">menuitem" aria-goog-spellcheck-word" id=":z.17" tabindex="-1" role="menuitem" aria-haspopup="true" style="background-color: yellow; background-position: initial initial; background-repeat: initial initial;">haspopup="true" style="background-color: yellow; background-position: initial initial; background-repeat: initial initial;">goog-spellcheck-word" id=":z.18" tabindex="-1" role="menuitem" aria-haspopup="true" style="background-color: yellow; background-position: initial initial; background-repeat: initial initial;">iframes. Your browser does not support goog-spellcheck-word" id=":z.19" tabindex="-1" role="menuitem" aria-haspopup="true" style="background-color: yellow; background-position: initial initial; background-repeat: initial initial;">goog-spellcheck-word" id=":z.12" goog-spellcheck-word" id=":z.20" tabindex="-1" role="menuitem" aria-haspopup="true" style="background-color: yellow; background-position: initial initial; background-repeat: initial initial;">tabindex="-1" role="goog-spellcheck-word" id=":z.21" tabindex="-1" role="menuitem" aria-haspopup="true" style="background-color: yellow; background-position: initial initial; background-repeat: initial initial;">menuitem" aria-goog-spellcheck-word" id=":z.22" tabindex="-1" role="menuitem" aria-haspopup="true" style="background-color: yellow; background-position: initial initial; background-repeat: initial initial;">haspopup="true" style="background-color: yellow; background-position: initial initial; background-repeat: initial initial;">goog-spellcheck-word" id=":z.23" tabindex="-1" role="menuitem" aria-haspopup="true" style="background-color: yellow; background-position: initial initial; background-repeat: initial initial;">iframes. Shields and Lester calmed down in the 2nd inning, facing 7 total batters and striking out 3. Shields surrendered 2 singles in the 3rd to Fuld and Josh Donaldson, but a line drive off the bat of Moss turned into an inning ending double play thanks to bad instincts by Fuld. Mike Moustakas singled to start the bottom of the 3rd, and with 2 outs in the inning, Lorenzo Cain doubled him home to tie the game and Eric Hosmer singled him home to give the Royals their first lead of the game. Your browser does not support goog-spellcheck-word" id=":z.28" tabindex="-1" role="menuitem" aria-haspopup="true" style="background-color: yellow; background-position: initial initial; background-repeat: initial initial;">goog-spellcheck-word" id=":z.18" goog-spellcheck-word" id=":z.29" tabindex="-1" role="menuitem" aria-haspopup="true" style="background-color: yellow; background-position: initial initial; background-repeat: initial initial;">tabindex="-1" role="goog-spellcheck-word" id=":z.30" tabindex="-1" role="menuitem" aria-haspopup="true" style="background-color: yellow; background-position: initial initial; background-repeat: initial initial;">menuitem" aria-goog-spellcheck-word" id=":z.31" tabindex="-1" role="menuitem" aria-haspopup="true" style="background-color: yellow; background-position: initial initial; background-repeat: initial initial;">haspopup="true" style="background-color: yellow; background-position: initial initial; background-repeat: initial initial;">goog-spellcheck-word" id=":z.32" tabindex="-1" role="menuitem" aria-haspopup="true" style="background-color: yellow; background-position: initial initial; background-repeat: initial initial;">iframes. Your browser does not support goog-spellcheck-word" id=":z.37" tabindex="-1" role="menuitem" aria-haspopup="true" style="background-color: yellow; background-position: initial initial; background-repeat: initial initial;">goog-spellcheck-word" id=":z.23" goog-spellcheck-word" id=":z.38" tabindex="-1" role="menuitem" aria-haspopup="true" style="background-color: yellow; background-position: initial initial; background-repeat: initial initial;">tabindex="-1" role="goog-spellcheck-word" id=":z.39" tabindex="-1" role="menuitem" aria-haspopup="true" style="background-color: yellow; background-position: initial initial; background-repeat: initial initial;">menuitem" aria-goog-spellcheck-word" id=":z.40" tabindex="-1" role="menuitem" aria-haspopup="true" style="background-color: yellow; background-position: initial initial; background-repeat: initial initial;">haspopup="true" style="background-color: yellow; background-position: initial initial; background-repeat: initial initial;">goog-spellcheck-word" id=":z.41" tabindex="-1" role="menuitem" aria-haspopup="true" style="background-color: yellow; background-position: initial initial; background-repeat: initial initial;">iframes. Moss' 2nd HR of the game gave him 5 RBI on the night, but more importantly, the A's a 5-3 lead. But Oakland wasn't finished yet, singles by Derek Norris and Coco Crisp with 2 outs off of Kelvin Herrera blew the lead up to 4 runs and as the TBS broadcast let us all know, Lester was 85-1 when handed at least a 3 run lead. The Royals seemed deflated in the bottom half of the 6th, and Lester set them down in order with ground outs to second and short, and then a Butler strike out. The 7th inning saw an infield single and a bunt single to the pitcher, and the A's top half of the 8th (vs Wade Davis) was quick with a fly out, ground out and strike out. Exactly what you expected from Davis. But the Royals half of the 8th is where the magic began. Your browser does not support goog-spellcheck-word" id=":z.43" tabindex="-1" role="menuitem" aria-haspopup="true" style="background-color: yellow; background-position: initial initial; background-repeat: initial initial;">goog-spellcheck-word" id=":z.25" goog-spellcheck-word" id=":z.44" tabindex="-1" role="menuitem" aria-haspopup="true" style="background-color: yellow; background-position: initial initial; background-repeat: initial initial;">tabindex="-1" role="goog-spellcheck-word" id=":z.45" tabindex="-1" role="menuitem" aria-haspopup="true" style="background-color: yellow; background-position: initial initial; background-repeat: initial initial;">menuitem" aria-goog-spellcheck-word" id=":z.46" tabindex="-1" role="menuitem" aria-haspopup="true" style="background-color: yellow; background-position: initial initial; background-repeat: initial initial;">haspopup="true" style="background-color: yellow; background-position: initial initial; background-repeat: initial initial;">goog-spellcheck-word" id=":z.47" tabindex="-1" role="menuitem" aria-haspopup="true" style="background-color: yellow; background-position: initial initial; background-repeat: initial initial;">iframes. Alcides Escobar started the inning with a single off Lester, stole 2nd, and advanced to 3rd on an Aoki ground out. Cain then singled home Escobar, stole 2nd, Lester walked Hosmer, and Luke Gregerson came in, in relief of Lester (7.1ip, 8h, 6er,5k). Butler singled home Cain, Terrance Gore, pinch running for Butler, stole 2nd, Hosmer scored and Gore moved to 3rd on a wild pitch. Alex Gordon walked and stole 2nd, but Salvador Perez and Omar Infante both struck out to end the inning. It was now a 1 run ballgame heading into the 9th inning. Greg Holland came into the game, and made for a dramatic inning that did not feature a single hit! After striking out Crisp, Holland walked Fuld, Donaldson lined out, Fuld moved to 2nd on a passed ball, Moss was intentionally walked, Josh Reddick walked to load the bases, before Jed Lowrie lined out to end the inning. Your browser does not support goog-spellcheck-word" id=":z.60" tabindex="-1" role="menuitem" aria-haspopup="true" style="background-color: yellow; background-position: initial initial; background-repeat: initial initial;">goog-spellcheck-word" id=":z.38" goog-spellcheck-word" id=":z.61" tabindex="-1" role="menuitem" aria-haspopup="true" style="background-color: yellow; background-position: initial initial; background-repeat: initial initial;">tabindex="-1" role="goog-spellcheck-word" id=":z.62" tabindex="-1" role="menuitem" aria-haspopup="true" style="background-color: yellow; background-position: initial initial; background-repeat: initial initial;">menuitem" aria-goog-spellcheck-word" id=":z.63" tabindex="-1" role="menuitem" aria-haspopup="true" style="background-color: yellow; background-position: initial initial; background-repeat: initial initial;">haspopup="true" style="background-color: yellow; background-position: initial initial; background-repeat: initial initial;">goog-spellcheck-word" id=":z.64" tabindex="-1" role="menuitem" aria-haspopup="true" style="background-color: yellow; background-position: initial initial; background-repeat: initial initial;">iframes. Sean Doolittle entered the game for the Athletics to close it out, but pinch hitter Josh Willingham had other plans. A leadoff single had the crowd in a frenzy and Willingham was replaced by pinch runner Jarrod Dyson. Escobar laid down a sacrifice bunt to advance Dyson to 2nd, and then as the Royals do best, Dyson stole 3rd! Your browser does not support goog-spellcheck-word" id=":z.69" tabindex="-1" role="menuitem" aria-haspopup="true" style="background-color: yellow; background-position: initial initial; background-repeat: initial initial;">goog-spellcheck-word" id=":z.43" goog-spellcheck-word" id=":z.71" tabindex="-1" role="menuitem" aria-haspopup="true" style="background-color: yellow; background-position: initial initial; background-repeat: initial initial;">tabindex="-1" role="goog-spellcheck-word" id=":z.72" tabindex="-1" role="menuitem" aria-haspopup="true" style="background-color: yellow; background-position: initial initial; background-repeat: initial initial;">menuitem" aria-goog-spellcheck-word" id=":z.73" tabindex="-1" role="menuitem" aria-haspopup="true" style="background-color: yellow; background-position: initial initial; background-repeat: initial initial;">haspopup="true" style="background-color: yellow; background-position: initial initial; background-repeat: initial initial;">goog-spellcheck-word" id=":z.74" tabindex="-1" role="menuitem" aria-haspopup="true" style="background-color: yellow; background-position: initial initial; background-repeat: initial initial;">iframes. Aoki was then able to lift the ball to right, DEEP,and forced extra innings after Cain lined out to short. Your browser does not support goog-spellcheck-word" id=":z.76" tabindex="-1" role="menuitem" aria-haspopup="true" style="background-color: yellow; background-position: initial initial; background-repeat: initial initial;">goog-spellcheck-word" id=":z.45" goog-spellcheck-word" id=":z.77" tabindex="-1" role="menuitem" aria-haspopup="true" style="background-color: yellow; background-position: initial initial; background-repeat: initial initial;">tabindex="-1" role="goog-spellcheck-word" id=":z.78" tabindex="-1" role="menuitem" aria-haspopup="true" style="background-color: yellow; background-position: initial initial; background-repeat: initial initial;">menuitem" aria-goog-spellcheck-word" id=":z.79" tabindex="-1" role="menuitem" aria-haspopup="true" style="background-color: yellow; background-position: initial initial; background-repeat: initial initial;">haspopup="true" style="background-color: yellow; background-position: initial initial; background-repeat: initial initial;">goog-spellcheck-word" id=":z.80" tabindex="-1" role="menuitem" aria-haspopup="true" style="background-color: yellow; background-position: initial initial; background-repeat: initial initial;">iframes. The 10th and 11th innings saw just 3 hits, but in the 12th, Oakland took an 8-7 lead thanks to Alberto Callaspo's single that scored Reddick, who walked to start the inning. With 1 out in the bottom of the 12th, Hosmer tripled to left center field and put the tying run 90 feet away. Your browser does not support goog-spellcheck-word" id=":z.84" tabindex="-1" role="menuitem" aria-haspopup="true" style="background-color: yellow; background-position: initial initial; background-repeat: initial initial;">goog-spellcheck-word" id=":z.49" goog-spellcheck-word" id=":z.86" tabindex="-1" role="menuitem" aria-haspopup="true" style="background-color: yellow; background-position: initial initial; background-repeat: initial initial;">tabindex="-1" role="goog-spellcheck-word" id=":z.87" tabindex="-1" role="menuitem" aria-haspopup="true" style="background-color: yellow; background-position: initial initial; background-repeat: initial initial;">menuitem" aria-goog-spellcheck-word" id=":z.88" tabindex="-1" role="menuitem" aria-haspopup="true" style="background-color: yellow; background-position: initial initial; background-repeat: initial initial;">haspopup="true" style="background-color: yellow; background-position: initial initial; background-repeat: initial initial;">goog-spellcheck-word" id=":z.89" tabindex="-1" role="menuitem" aria-haspopup="true" style="background-color: yellow; background-position: initial initial; background-repeat: initial initial;">iframes. Christian Colon's high chopper was an impossible ball to field cleanly and make a play for Donaldson, and Hosmer was able to score the tying run. Colon went on to steal 2nd with 2 outs after Gordon fouled out, and it brought Perez to the plate, with 2 out and the winning run in scoring position. Your browser does not support goog-spellcheck-word" id=":z.91" tabindex="-1" role="menuitem" aria-haspopup="true" style="background-color: yellow; background-position: initial initial; background-repeat: initial initial;">goog-spellcheck-word" id=":z.54" goog-spellcheck-word" id=":z.93" tabindex="-1" role="menuitem" aria-haspopup="true" style="background-color: yellow; background-position: initial initial; background-repeat: initial initial;">tabindex="-1" role="goog-spellcheck-word" id=":z.94" tabindex="-1" role="menuitem" aria-haspopup="true" style="background-color: yellow; background-position: initial initial; background-repeat: initial initial;">menuitem" aria-goog-spellcheck-word" id=":z.95" tabindex="-1" role="menuitem" aria-haspopup="true" style="background-color: yellow; background-position: initial initial; background-repeat: initial initial;">haspopup="true" style="background-color: yellow; background-position: initial initial; background-repeat: initial initial;">goog-spellcheck-word" id=":z.96" tabindex="-1" role="menuitem" aria-haspopup="true" style="background-color: yellow; background-position: initial initial; background-repeat: initial initial;">iframes. Your browser does not support iframes. 4 hours and 45 minutes later, the Royals had done the unthinkable.